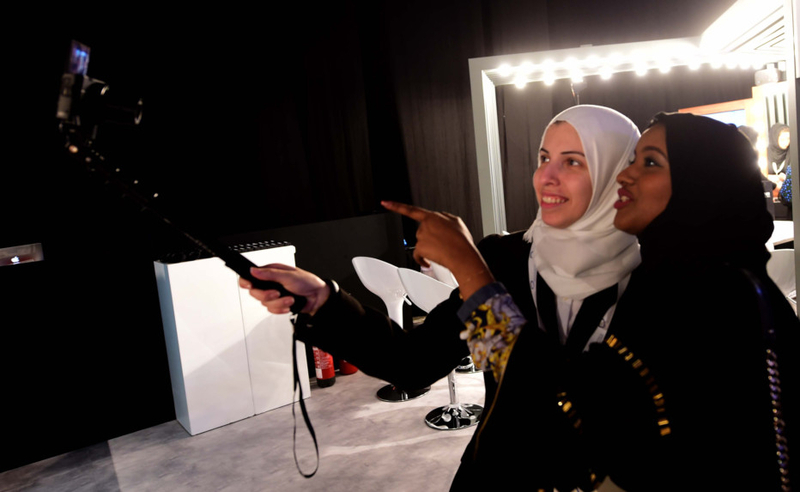 Dubai: Around 40 social media influencers and organisations were awarded on Tuesday at the second edition of the Arab Social Media Influencers Summit taking place at the Dubai World Trade Centre. 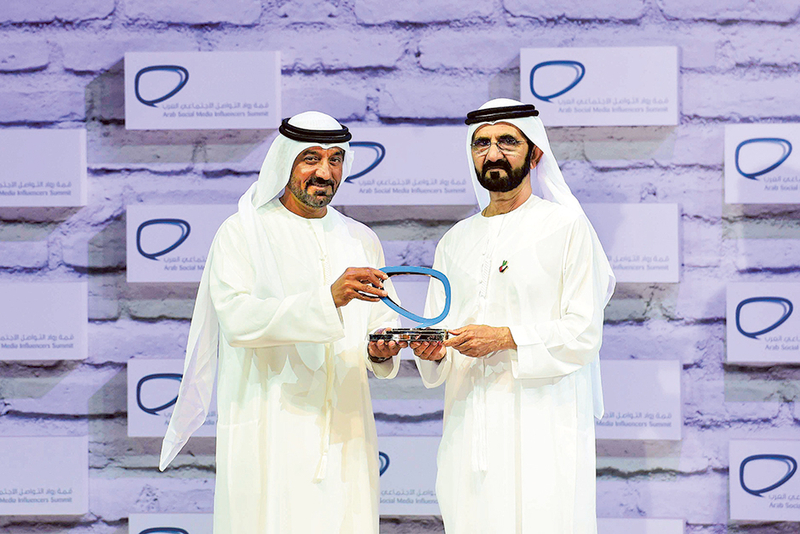 His Highness Shaikh Mohammad Bin Rashid Al Maktoum, Vice-President and Prime Minister of the UAE and Ruler of Dubai, awarded the winners in 20 different categories, at the first awards ceremony that highlights the most compelling social media-driven initiatives by Arabs. The award’s criteria focused on three main areas — connectivity, creativity, and impact — representing its vision to use social networks positively in the Arab World. The awards were split into two main categories, one for individuals, and another for institutions who have made a positive impact on the development and prosperity of their communities while contributing to the progress and development of people. Lt Gen Shaikh Saif Bin Zayed Al Nahyan, Deputy Prime Minister and Minister of Interior, received the Arab social media influencer award for the government sector, while Dr Anwar Mohammad Gargash, Minister of State for Foreign Affairs, was awarded in the politics category. Also attending the award was Shaikh Hamadan Bin Mohammad Bin Rashid Al Maktoum, Crown Prince of Dubai, Shaikh Maktoum Bin Mohammad Bin Rashid Bin Maktoum, Deputy Ruler of Dubai, and Shaikh Mansour Bin Mohammad Bin Rashid Al Maktoum. 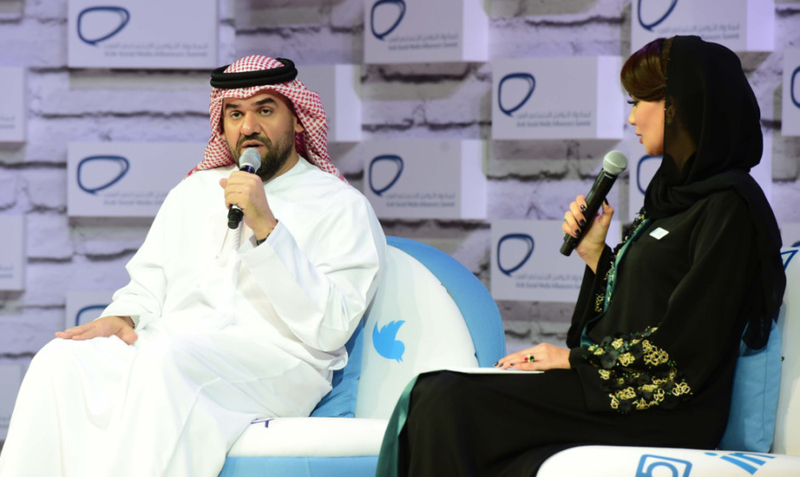 Emirati singer Hussain Al Jasmi received the social media award in the arts category, while media and TV personality Ahmad Al Shugairi was awarded in the media category. Shaikh Nasser Bin Mohammad Al Khalifa, Commander of Bahrain’s Royal Guard, was also given the social media influencer award in the youth category, followed by Shaikh Majed Al Sabah, Kuwaiti royal social media influencer who took home the award in the tourism category. 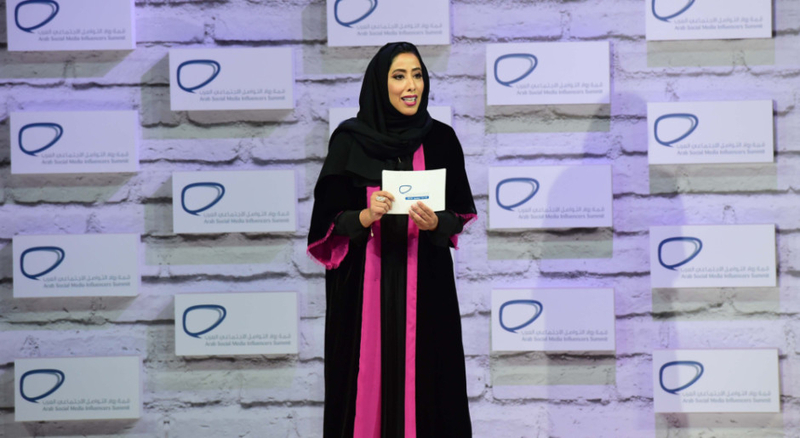 Meanwhile, TV presenter Ola Al Faris was awarded as a social media influencer in the corporate social responsibility (CSR) category, Yasser Hareb in the tolerance and positivity category, and football player Yaser Al Kahtani in the sports category. The social media award in the entrepreneurship category went to Wael Otaily, while the economy award went to Nadeen Hany, and the entertainment award to Tareq Al Harby. 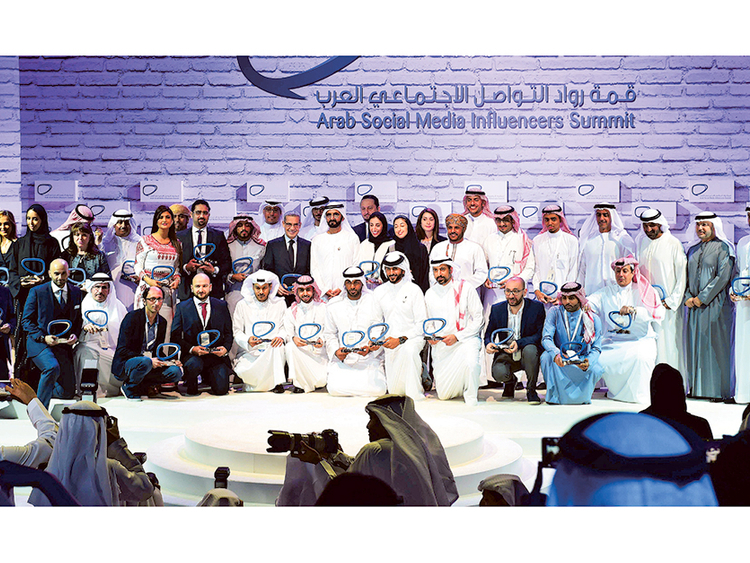 Shaikh Mohammad also distributed the awards to institutions who were recognised as social media influencers. 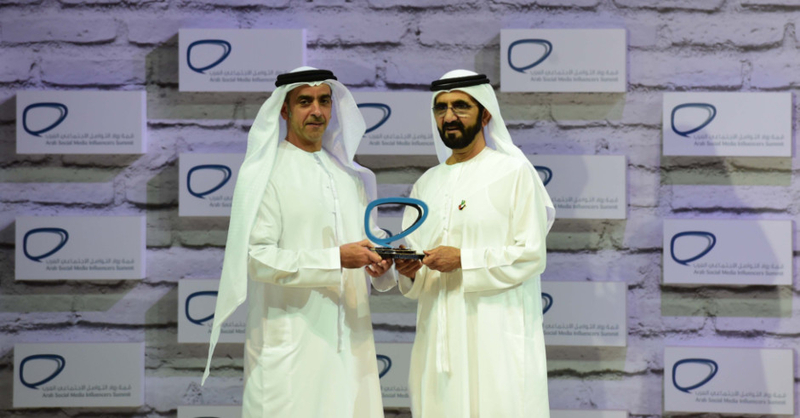 Shaikh Ahmad Bin Saeed Al Maktoum, President of Dubai Civil Aviation and Chairman and Chief Executive of Emirates airline and Group, received the social media influencers award for institutions on behalf of Emirates Group, for winning in the tourism category. Saudi’s Misk Foundation won for Corporate Social Responsibility, while Queen Rania Foundation won in the education category. The Royal Oman Police won the social media influencers award in the safety and security category, Sky News Arabia was awarded in the media category and Dubai Electricity and Water Authority (Dewa) won in the Environment category. Al Mesbar Studies and Research Centre and Kooora.com won in the politics and sports categories respectively. Majid.ae won in the entertainment category, while Anghami won the arts category and Souqalmal.com was awarded in the economy category. Oman’s National Youth Committee won the social media influencers award in the youth category, Namshi.com won in the shopping category and AlEjabiya.com won in the tolerance and positivity category. 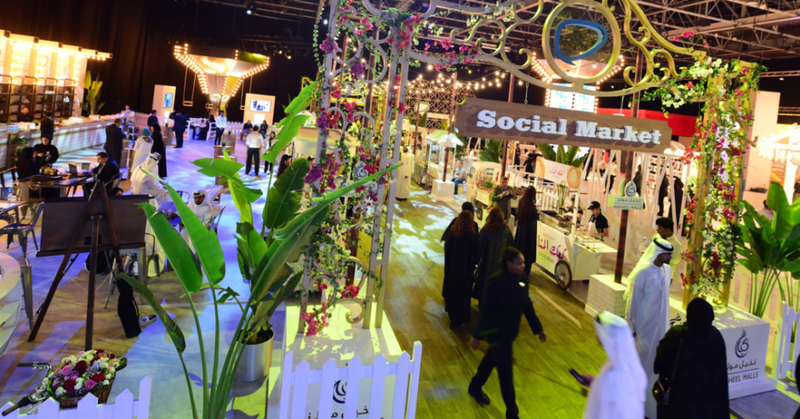 Salt and Careem were both awarded the social media influencers award in the private sector category, and Namshi.com won in the shopping category. Smaat.co won the entrepreneurship social media award, Arageek.com won the blog award, and dailymedicalinfo.com won in the health category. Technology World (tech-wd.com) website won in the technology category. Finally, MBC host Mustafa Al Agha won the audience award. • Government sector: Lt Gen Shaikh Saif Bin Zayed Al Nahyan, UAE Minister of Interior. • Youth: Shaikh Nasser Bin Hamad Al Khalifa, from the Bahraini royal family and commander of Bahrain’s Royal Guard. • Tourism: Shaikh Majid Al Sabah, Kuwaiti Royal social media influencer known as ‘The Shaikh of Chic’. • Politics: Dr Anwar Mohammad Gargash, Minister of State for Foreign Affairs. • Youth: The National Youth Commission - Sultanate of Oman.